SPRINGFIELD TWP., N.J. (WPVI) -- An armed man who held up a Wawa in Burlington County, New Jersey was apparently after cash - and a midnight snack. The robbery happened on Sunday at the store on Route 206 in Springfield Township. According to police, the suspect entered the store around 12:50 a.m., grabbed a chicken Caesar salad wrap, then walked to the counter and pulled a gun on the clerk. He demanded cash, then ran off with the money - and the wrap. 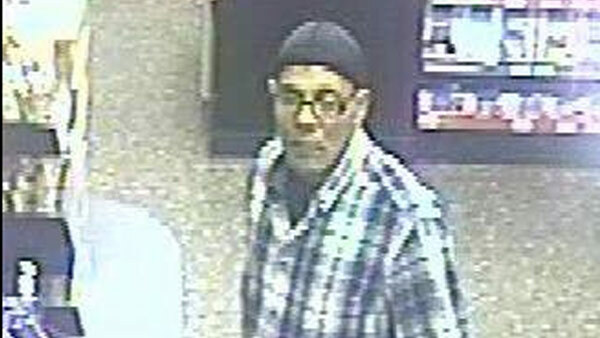 The suspect is described as either a black or Hispanic man standing 5'7" tall. He was wearing a blue checkered flannel shirt, a black t-shirt, black pants, dark-colored sneakers with white soles, a black bandana and glasses. New Jersey state police say they are asking for the public's help so they can, quote, "wrap up this investigation." Anyone with information is asked to call 609-298-1171.